Nice job Dan! You should be very proud of your effort! As you mentioned, this will be a springboard to much faster races! Now ... GO REST !!! That's a good race! Only ONE 8+ minute mile? That's great! You had a fantastic build up to this race. After you recover, you will be able to put that to use. Well done. Great race Dan. You executed very nicely. Well done. Congrats Dan. It sounds like you had a plan and you executed it well. You had a great build up to the race that will continue to pay off into future races. Well done Dan despite the cold the wind and the hills. Please rest and check all the body parts. Congratulations Dan, very steady & strong effort! I'm curious about the 14 days with no caffeine, then coffee on race day thing. I'm glad that worked for you. But I've always stood by the nothing different on race day philosophy. Thanks guys. Like I said, good but not great. I am enjoying my week off running. I often start running too soon after a race and promised myself a SOLID week off. Tom- I agree on nothing new - with the exception of caffeine. I KNOW caffeine has helped me in the past, but I also know I have it often so it is limited. I wanted to purge my body of it before racing and have it before and during the run. Next time I may actually purge an entire month. It is probably placebo effect, but who knows. It is like everyone saying the Nike Vapor fly 4% is helping them set BIG PR's. I find it hard to believe unless you normally race in dress shoes or heels. Dan, I hope your recovery week has been nice and relaxing. lets get back to work now :-) I hope you feeling better. i was going to ask about the caffeine as well. interesting. nice racing. i'd say it's a good day when 8:12 is your ugliest mile. :) all of your other splits were very consistent right up through the end. hope you've enjoyed some nice downtime post-race. Good job Dan, my brother ran Richmond this year. 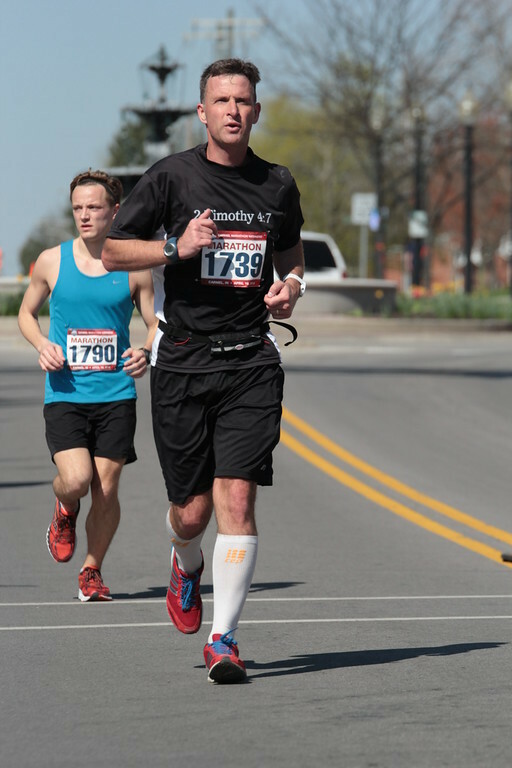 I got my first BQ there and two more, but gave up when they changed the course. Not sure how a circuit course can be all uphill but that�s how it feels.